The season of gift giving is just around the corner. Though it can be a stressful time of year, the fun of tracking down gifts that delight the ones we love always seems to be worth it in the end. The thing is: Men can be hard to shop for. Most of us have, at some point, asked a guy what he wants for the holidays just to hear the familiar phrase, "I have everything I need." So, we found some of the most stylish, delicious, handy, cozy and coolest gifts men. Whether he's an avid outdoorsman, a frequent flyer, a top chef in the making or a design fanatic, we've found affordable ways to show him some serious love this holiday season. Even the most well-dressed man will appreciate an update to his wardrobe this holiday season. 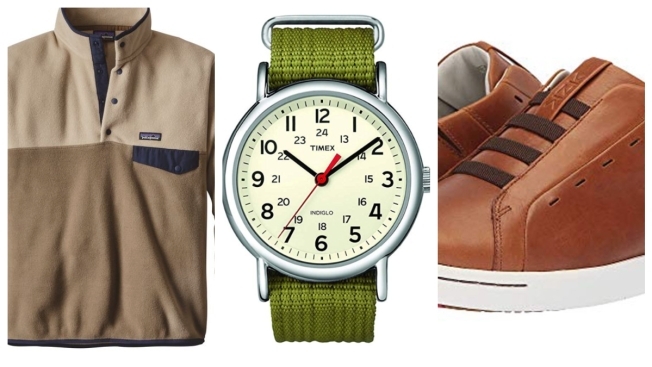 The trick to giving a wearable gift — without ruining the surprise — is to either pick something that doesn't require knowing his size (like a watch or sunglasses) or something with some flexibility (jackets and sweaters are easier than pants and shoes, for example). NBC News editors, writers and experts take care to recommend items we really like and hope you’ll enjoy! Just so you know, NBC News does have affiliate relationships. So, while every product is independently selected, if you buy something through our links, we may get a small share of the revenue. This classic sweater makes for the perfect layering piece for winter. 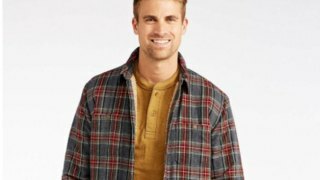 Your guy can wear this over a beloved plaid flannel or under his favorite down coat on those extra cold days. 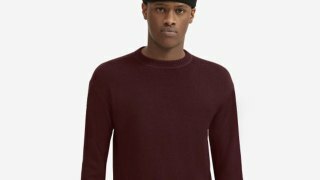 Uniqlo also makes a great crewneck cashmere sweater for men, which is currently $80 and frequently goes on sale. Speaking of flannels ... we love the traditional looks and fits from L.L. Bean, especially for Dad and Grandpa. It's a "giftable" shirt for any guy on your list because it's lined with cozy Sherpa fleece for extra warmth and a pop of on-trend style! These lightweight watches will let your favorite guy keep time in style. 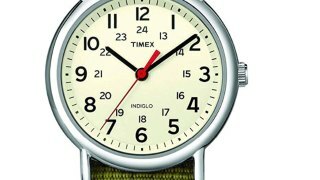 The Timex Weekender is a favorite on Amazon with more than 6,000 reviews! We love the variety of colorful nylon straps available. 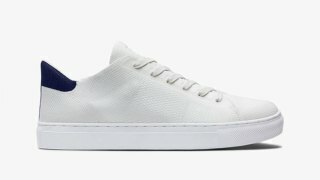 If you're looking for a less expensive white sneaker to give to your favorite guy, consider these faux leather sneakers from Old Navy that are just $37! Know a guy who hates tying his shoes? The kind of guy who might just leave his shoes tied the same way for weeks and slip in and out of them without changing a thing. These lace-free shoes are for that guy. 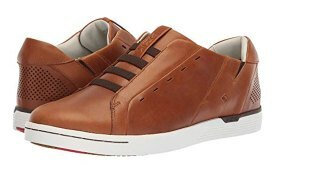 The leather material looks sleek and the subtle elastics keep the shoes in place all day. What's old is new again, especially when it comes to performance fleece. 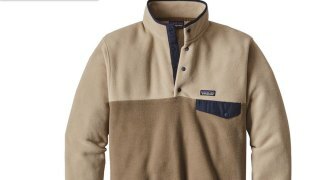 This snap-front pullover from Patagonia is the perfect gift for any guy on your list who happens to be a winter sports buff or just loves the ski lifestyle. The design is iconic and timeless — it looks like you might have lifted it from your dad's closet in the '90s. We know, we know. 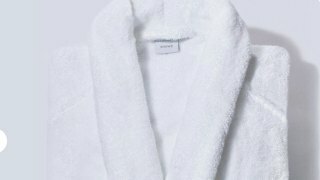 Robes are such a "dad" gift. But, there are few things more enjoyable on a Sunday morning than kicking back with a paper and coffee in hand, wrapped in terrycloth. Plus, he has to wear something from the front door to the mailbox, doesn't he? Buying sunglasses for someone else can be tricky. 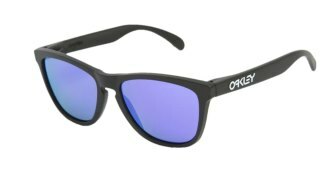 But, we'll let you in on a secret: These Oakley 'Frogskin' sunglasses will work every time. Resurrected from a 1980's design and incredibly high-quality, they look good on men, women and all face shapes. If you have a guy on your list that loves to sit back, relax and just enjoy some time at home, then these gifts are for him. Whether he's a video game lover or music junkie, these gifts are sure to be ones he'll love. For the guy who wants (and needs!) to be plugged in at all times, this three-device charger from Native Union will make the perfect gift. 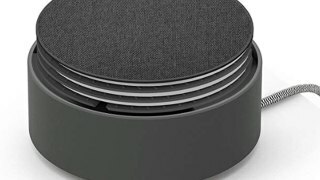 Stylish enough to proudly display on his bedside or coffee table, the gadget keeps cords and tech toys charged and organized. 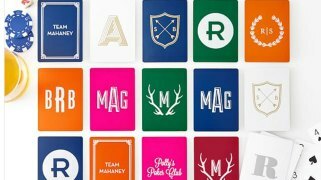 Whether he loves to host poker night or is more of a Go Fish guy, he'll appreciate the thoughtful nature of this set of playing cards. They can be personalized with a message or monogram and come in a variety of colors and patterns. Coasters aren't necessarily a novel gift idea, but we think these monogrammable ones are special. 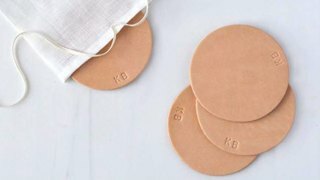 Think of each leather coaster as an instant heirloom piece — they'll show their wear (red wine drips, whiskey blotches) with pride. 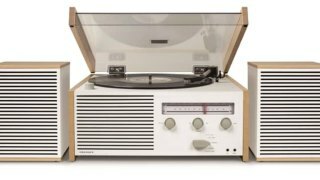 Combining modern conveniences and an old-school turntable, this Crosley radio player can support vinyl records, MP3 players and your iPhone thanks to an aux jack and Bluetooth. So, it can deliver quality sound for both retro and contemporary tunes.